More than Classic, less than Epic – Apple’s iPhone 8 and X reveal and … Crickets. Home/Apple, Design, News/More than Classic, less than Epic – Apple’s iPhone 8 and X reveal and … Crickets. 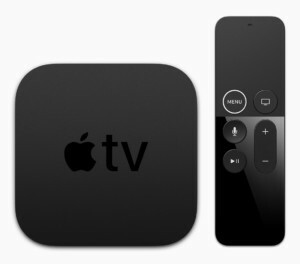 It’s that time of year again when we finally get to see all of Apple’s shiny new toys and grow our lists of cool new stuff we somehow need to buy. This time, however, the presentation just seemed to fall short and I can’t exactly say why. Online viewers who arrived early to the 1:00 EST streaming event held by Apple were greeted by an intro video which took us for a quick tour of the absolutely stunning Steve Jobs Theater, located just across the lawn from the main building at Apple Park, Apple’s new headquarters in Cupertino, California. At one point the video showed an interesting birds eye view of the Theater making it look like you could just reach into the video and press down on the roof making everything under it magically disappear into the ground. It would emit an ever-so-soft ‘click’ as it locked shut with the roof fitting flush to the patio surround. A second press and it would all silently pop-up out of the ground leaving its razor thin roof sitting impossibly on a 360 degree wall of glass. Of course it didn’t, not even in AR, but that’s the kind of magic we have come to expect. 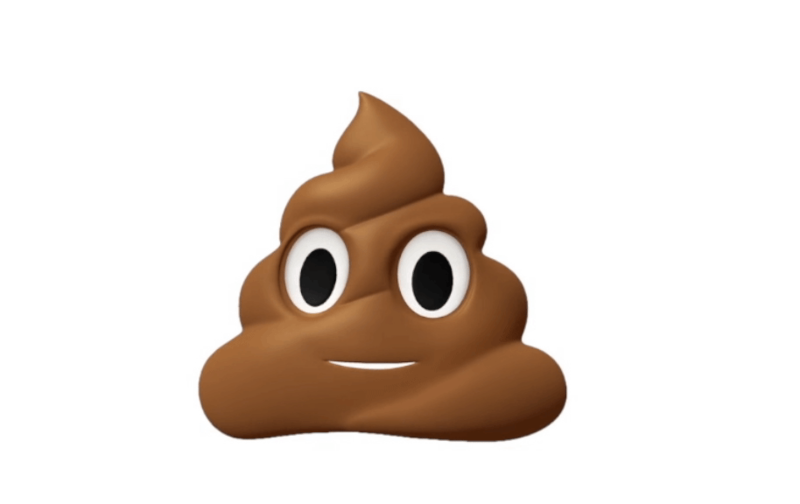 This is, of course, Apple Inc., and today’s reveal should have been an outstanding event. The 10 year anniversary of the iPhone, one of the most iconic, game changing products in the last decade. The first public presentation from the Steve Jobs Theater, in itself another fantastic feat of Apple engineering and design perfection and of course the new product reveals … yawn. Spoiler alert – maybe some of the reason for the lackluster event was the lack of any significant price drops. To be more specific there were no price breaks on the entire line of new iPhones, which arguably was what the whole event was about. Phil Schiller, Apple’s Senior Vice President of Worldwide Marketing and no stranger to the stage handled most of the iPhone presentation. Phil seemed to struggle with the material and read his lines rather than speaking to and actively engaging the audience. He was reading from a script, not unusual, but at the end of the iPhone 8 and 8 Plus announcements he read off the new prices and availability … crickets. Available This Month … crickets. Applause sign (the theater must have them) … finally some forced cheers and applause. If the new iPhone 8’s and the X couldn’t get the audience riled up then nothing in this show would. But maybe, just maybe, we are getting fed-up with shelling out $500 – $1,000 for new cell phones. Tim Cook, Apple’s CEO fared little better on stage. Cook has always come across, to me, as someone trying too hard not be Steve Jobs while expecting to create the same excitement. To his credit there was an homage to Steve’s “One more thing …” but it just wasn’t enough. Also noticeably absent was Jonathan Ive, Apple’s Chief Design Officer. Jony represents the design DNA of Apple and has done so for as long as I can remember. 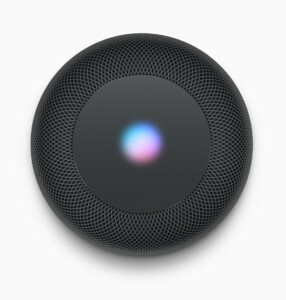 If Steve was the bright spark then Jony was the quiet, calm, unassuming bloke who described every technical and design detail including the motivation behind each with an almost casual clarity. Jony had the ability to somehow translate directly from inside the Steve Jobs Reality Distortion Field and with a tempered enthusiasm he left everyone feeling like they actually understood what he said. Not that anyone needed to dial back the enthusiasm this time out and we did get a video with the classic Jon Ive voice-over but even that wasn’t enough. 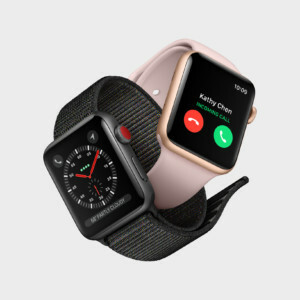 Now to be fair, some of the news wasn’t really news but more a confirmation of what we thought to be true and a refresh of things like the Apple Watch and Apple TV so that may have dampened things. Gone are the days of old when Apple was so secretive that everything was a surprise. Sorry to say but those days are long gone. We already knew the name of iPhone X thanks to dissected releases of iOS 11. 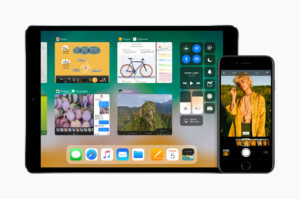 The introduction of the iPhone 8 and 8 Plus was a no-brainer but still held a few nice surprises and iOS 11 was pretty well covered in all its glory back in June at WWDC. The pleasant surprise was that everything announced, with few exceptions like the iPhone X and the AirPower mat, will be available next Friday, September 22, 2017. 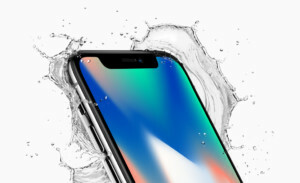 The iPhone X can be pre-ordered October 27 and available November 3, 2017. 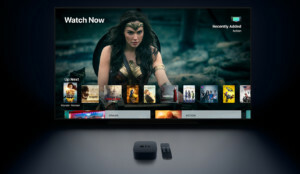 Although a few other product announcements were made, the event seemed almost entirely geared towards the new iPhone lineup and seemed to gloss over the new Apple Watch Series 3 (now with Cellular and un-tethered from your iPhone) and Apple TV 4K (now with 4K HD and more Content) while making absolutely no mention of Home Pod (how will it oust Amazon’s Echo and Google Home?). Now if you are shopping for a new phone I would suggest the iPhone 8. If you currently have an iPhone 7 then wait until the next iteration. If you have something older than an iPhone 7 and have been waiting to upgrade then get an 8. If you have a price-be-damned attitude then run and get the X, if you can, because they will be all gone by 12:01 am on November 3rd. 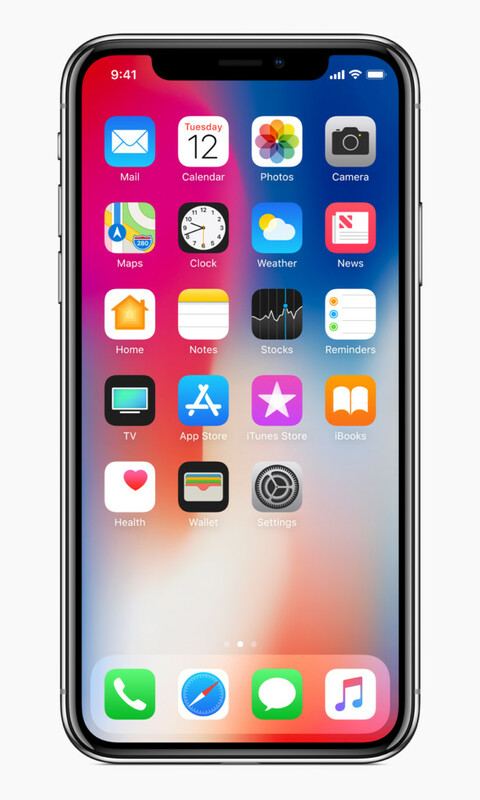 The iPhone X specifications when compared to the 8 were almost as pleasing as it’s near edge-to-edge 5.8″ Super Retina HD display. The new metal and glass body is sleek and polished and the front OLED display has almost 100% useable surface real estate thanks in part to removing the Home button but loosing some space up top to a camera and a bunch of other sensors. 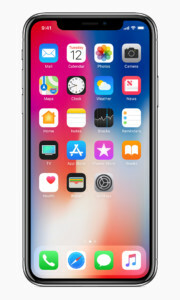 The iPhone X’s screen delivers a larger display area than both the iPhone 7 Plus or 8 Plus models (5.8″ vs 5.5″) yet the length of the phone is now a manageable 5.65″ down from a Plus at 6.24″. 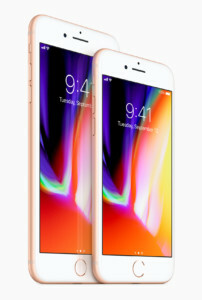 The X is over half an inch shorter and a quarter inch narrower than either of the 7 or 8 Plus models and it weighs in at a full ounce lighter than a 256GB iPhone 8 Plus! So what makes the iPhone X an instant ‘must have’, either for status or sheer lust? The status is assured by the steep $999 US starting price which is almost $300 more than a 256GB iPhone 7 Plus and when completely optioned out hits the iPad Pro level price of $1,149 US ($1,400 Cdn). That’s only $130 US less than a brand new 12.9″ iPad Pro with WiFi + Cellular. Think about that for a minute. This is a phone – sort of. Glass and metal design. As gorgeous as it is strong and thanks to a glass back the X is able to be charged wirelessly using any Qi compliant charger. Smarter, better cameras. 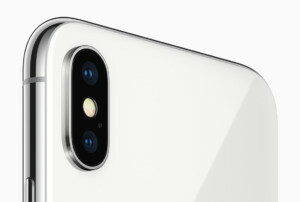 Wide-angle and telephoto 12MP cameras with dual optical image stabilization, bigger, faster sensors, new colour filters, TrueTone flash with Slow Sync and Portrait Lighting (beta). 4K video recording jumps to a maximum frame rate of 60 fps. The iPhone 7 delivered 60 fps video but only with 1080p HD. The big difference here is the front facing TrueDepth camera which combines IR, AI and spatial imaging to map your face and then uses facial recognition to securely lock and unlock your phone. It’s as simple as raising your phone and looking at it. Better battery life. Claiming a full 2 hours more life than an iPhone 7 sounds glorious for all the power starved users and iOS 10.3.3 notwithstanding, a 2 hour increase in battery life from such a small form factor is very significant. Improved cellular and wireless connectivity. NFC now has a reader mode. GPS is now complimented by the addition of Japan’s QZSS (Quasi-Zenith Satellite System) and the EU’s Galileo GPS systems. This is not simply for better coverage, though I’m sure it helps, but also for improved accuracy. The QZSS is able to use and adjust our North American GPS data and consequently improve location accuracy. Also, with greater location accuracy comes greater resolution and QZSS is claimed to improve resolution accuracy to within a few centimetres. Stop and think on that last point. That’s just a frightening kind of accuracy from a Pro-sumer level smart phone and a tracking technology that, should it be mis-used is just crazy accurate. The additional GPS coverage should make location-based tracking and awareness with the new iPhone 8 and X models far more reliable when travelling outside of North America. The EU and Japan plan to link their respective GPS systems as early as 2018. A Bionic processor. Yes, the new A11 Bionic chip uses 64-bit architecture like the A10 but adds a Neural engine among other things. Boasting four efficiency cores and two performance cores the X is 70% and 25% faster respectively than the iPhone 7 running an A10 Fusion. The new three core GPU is now 30% faster. It’s a good bet the display is as gorgeous to look at as the phone itself. Wireless charging. OMG I can’t believe how much I want this feature (or that I actually used OMG) and how much I mocked it when it was first introduced with the Apple Watch. As leery as I am about induction and contactless charging I have pushed all fears aside for a chance to not replace Lightening cables every few months. 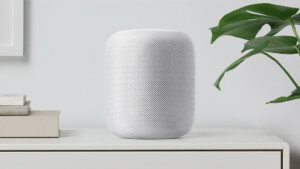 Using a charging pad instead of a physically connected cable may also be the closest we ever get to a ‘safety feature’ on a smart phone since a MagSafe Lightening connector just doesn’t appear to be in-the-cards. Dust and water resistant. I don’t know how much I would trust this for anything more than a quick shower or dunk in the pool but it will be extremely comforting the next time I get caught in the rain holding an unprotected $1,000 smart phone. It’s the phone that’s supposed to be smart, not the user. Augmented Reality. 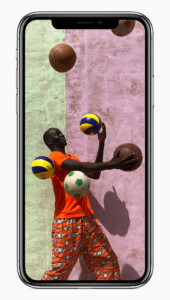 This is more of an ability baked into iOS 11 and real-world enabled by the additional horsepower of the A11 chip and multi-function cameras and sensors. So, will the iPhone X sell-out within minutes? Absolutely. Will the launch of the iPhone 8 and X be followed by months of backorders and consumers quickly turning on Apple for failing, again, to meet the demand from the initial surge of buyers? Unquestionably. Is the X worthy of the highest price ever for a consumer smartphone? Absolutely not … unless you need more power in your pocket than many laptop computers have, or unless you just want something new and shiny. Yes, me too and I have a 6S. 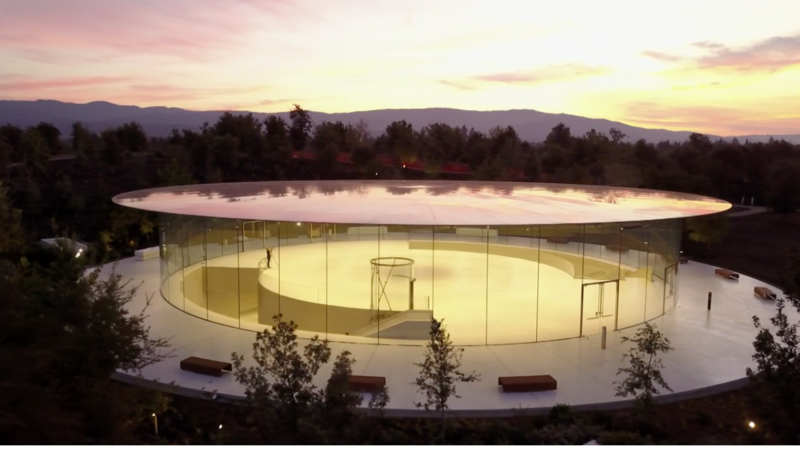 Well, at least Tim and crew can be happy they have fulfilled Steve’s dream and with Apple Park and the Steve Jobs Theater they have managed to “bring the outdoors in.” Even if it was mostly for the crickets. Alexa, What we have here is a failure to communicate.